Russia has become the world’s largest power to offer a second residency and citizenship by investment program. What would you say if I offered you a second passport in Russia? Of course, the western media has been going crazy predicting that Russia will use its Ukraine strategy to invade former Soviet satellite states and recreate the former Soviet Union. Here in the Baltics, however, most younger people I talk to don’t have that fear. Sure, there are some older folks who remember the dark days of occupation. Days that most westerners don’t fully understand. Sure, the Soviet Union was certainly no picnic, but the propaganda from Washington was and is a large part of the reason westerners have always viewed Russia with some great skepticism. When my mother flew to Moscow to adopt the first of my siblings from Russia in 1994, neighbors asked in hushed tones if she would even return. As if any westerner who showed up at the Moscow airport would be thrown in a cage and left to rot, rather than flagged through immigration with a yawn. Heck, the Soviet Union did away with the draconian practice of taxing its citizens living abroad long ago, something the Land of the Free still has yet to do. While Russia is certainly throwing its weight around these days, so is the United States. If you are a US citizen, you have to ask yourself: do I want a second passport in as small and insignificant a country as possible, or do I want a citizenship from another world power that may be more lenient on taxes and offshore policy? There are certainly arguments for being a citizen of Liechtenstein or San Marino, or even Singapore; but those citizenships are hard to come by. 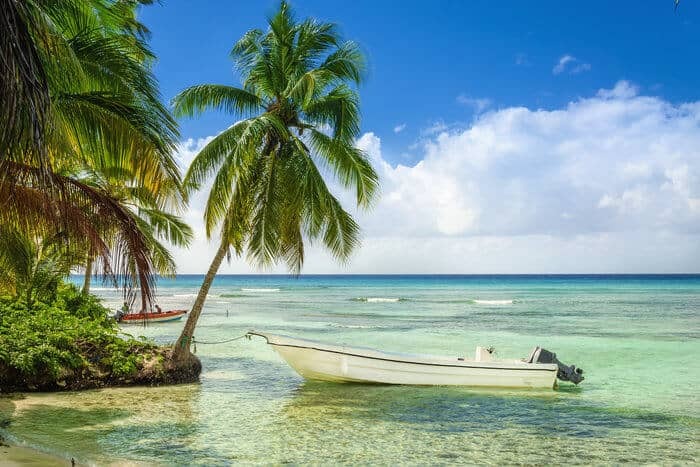 Meanwhile, the small Caribbean nations that offer near-instant citizenship in exchange for an investment are becoming a bit devalued. 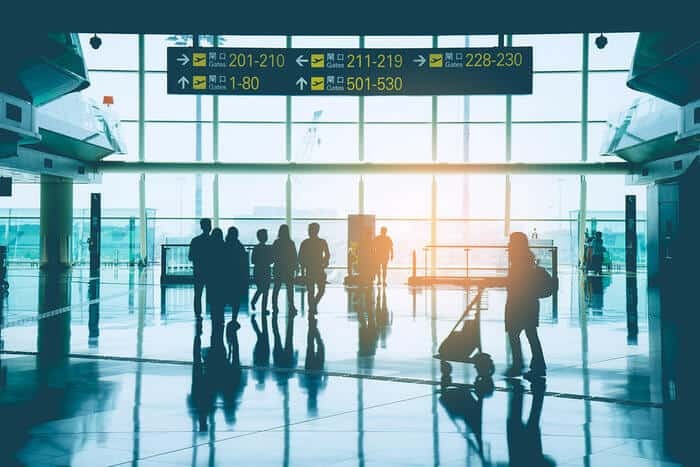 St. Kitts and Nevis, which has the longest-running such program, recently lost visa-free access to Canada and an attorney friend of mine suggests Europe might be next. While becoming a citizen of Russia may not sound that appealing to many, it is just another option available to you. The concept of “second citizenship” in Russia is frowned upon. Russia is one of a shrinking number of countries that technically prohibit the practice. Russia gets a bad rap for taking such a hard line against the concept. To them, a Russian is a Russian. However, I know a number of people with US and Russian citizenship. Currently, you are merely required to declare your foreign passports to the government. Those that don’t live in Russia don’t need to make such a declaration until they return to Russia. Of course, anyone who is born to a Russian parent, who was a former citizen of a pre-USSR country, or was born on Russian soil before a certain date is eligible to claim or re-claim their Russian passport. Basic citizenship by descent principles apply. For those without Russian blood, however, there are three ways to get citizenship, with each requiring that you obtain residency and wait several years. 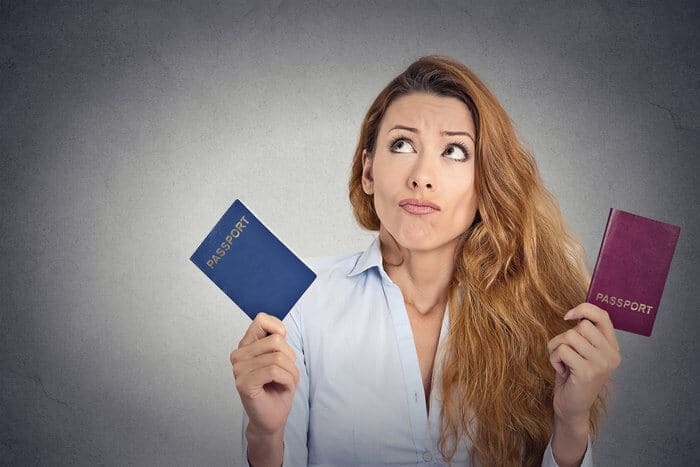 If and when you eventually qualify for Russian citizenship, you’ll receive a passport with visa-free or visa-on-arrival access to 105 countries, including all of non-EU eastern Europe, Mexico, Chile, Panama, South Korea, Malaysia, and Hong Kong. Last year, Russian president Dmitry Medvedev (the guy not really in charge) signed into law a simplified citizenship law that favors foreign entrepreneurs, investors and highly skilled employees. If you’re self employed and have a successful business, you can move it to Russia and potentially qualify for citizenship in three years. You can also start a new business to qualify. The criteria for entrepreneurs is straightforward: generate 10 million rubles in taxable revenue each year for three years. A few months ago, that would have been over US$300,000. With the ruble in free fall, that number today is less than US$163,000. If you wanted to bet on the ruble and diversify out of dollars, you could do so and basically cut your immigration “costs” by half. I put “costs” in quotes because, outside of the actual taxes, there really are no costs at all. You’re merely enjoying the benefits of a profitable business and paying some tax as a result. You might even say they’re paying you to work toward citizenship. If you become a tax resident of Russia, tax rates on dividends and ordinary income are typically in the teens, much lower than the United States or Western Europe. If you don’t want to run a business yourself, you can buy into a larger business. With an investment of the same 10 million rubles, you can own 10% of a profitable business that pays at least $162,000 per year in taxes. Heck, if you have a business that generates a significant profit now, you and your friends could each own a piece of the business and qualify. As long as you are profitable and pay taxes for three years, you’ll be entitled to apply for a Russian passport. Your all-in cost for the citizenship could be as low as $75,000, payable not all at once, but annually. When you compare this to the mid-six figure sums for Caribbean citizenships that don’t offer any kind of support to their citizens, it’s not a bad deal. Call it From Russia with Love. For years, men have been flocking to Russia and neighboring countries to meet derisively-termed “mail order brides” that they immediately bring back to the United States. It is possible to turn the tables. Russia is one of many countries that offers an expedited or more simple path to naturalization for spouses of their citizens. Upon marriage to a Russian citizen — resident in Russia — foreign spouses are eligible for a residence permit regardless of whether the country’s quota on foreign residents has already been filled that year. Amazingly, you can start the process by simply walking into the appropriate government office. No appointment needed. No nonsense. After three years of marriage and tax residency in Russia, you are eligible to apply for naturalization. You will need to have some level of fluency in the Russian language, which is easier to learn than you might think. And, unlike the US or Europe, Russia’s tax rates are quite low and most income is taxed at a flat rate. 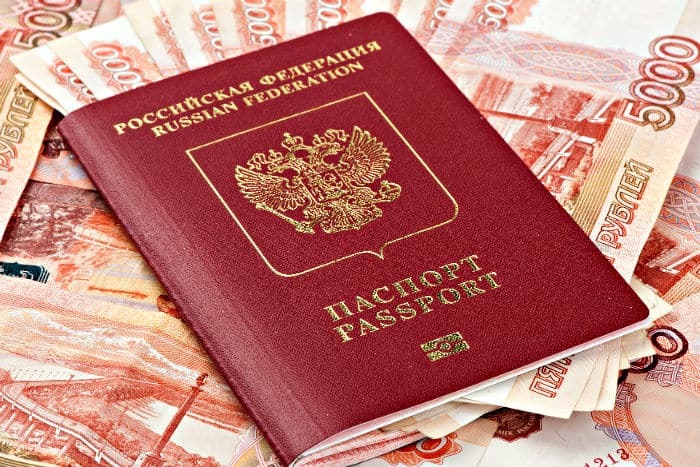 Russian citizenship may seem like an unlikely route to a second passport. For some, however, it could be the right solution. That is why it is so important to know exactly what you need from a second citizenship. Ultimately, Russia is one of three major superpowers, even despite their current economic woes. The risk that a superpower could make life difficult for its citizens by implementing laws like FATCA is always possible. That said, if you run a business or have a highly impressive resume that can land you a job, Russia is basically making the citizenship process there free for qualified immigrants. As a russian I can say that’s absolutely useless destination to go and stay, you can start your business here or find a wife/husband, but better not try to actually stay there. Default is possible in just 3 years. Ya khachoo gavareet russkii yázik. Ya óchyen rad poznakómitza svámi. Well, we’re a year from your predicted time frame and I’m doubtful we’ll see that happen. If default did happen, what would be the downside anyway? Stiff the (he brew) lenders and they won”t lend to you any longer and make the next generation their debt slaves. Hell, I think every country should default. Fu(k the damn debt based system and let it collapse. OK, there’s no default, because there is austerity. What are the prospects? Authoritarian politics; 1.2-1.4% growth trap, extremely high refinancing rate (9.25%), still high inflation (above 4% yearly). It’s better anywhere than here. It’s better in China because everything works better and wages are higher, it’s better in Romania, it’s better in much poorer Serbia than here. It’s slightly better even in Mexico. I’m a South African citizen that just gained Russian permanent residency as I’m married to a Russian woman and we have a Russian (1 year old) son. We lived in Saint Petersburg but now live in Sochi and I absolutely love it here!!! Soon I will become a Russian citizen! I’m happy for you, man. I hope the other South Africans who Russia agreed taking soon will have it good there as well. It’s easy to be bitter about a place you’ve lived in all your life, so I never take criticisms too seriously. I’m a Russian-born citizen and my parents moved countries when I was little. I don’t like this country I live in today, and I think I’ve been wronged here in many ways. But many people like it here and from around the world. I think Russia is nice, but perhaps it’s because I didn’t grow there. Everyone can have their perspective. 160.000$ for 3 years only is so so exepnsive, look at the VANUATU REHABILITATION PROGRAM , 200.000$ citizenship for life ! Thanks for the short guide. Ive visited Russia and lived native in non tourist cities etc ,its my favorite country .I speak/read basic Russian and I think its a good idea to learn at least to read Russian before making a final decision . I’m willing but where are you located? If not in my area then would you be OK with learning with me either online or some other way that may be more convenient or comfortable for you? Also how often would you like to practice? me too want to learn Russian language, would you plz help me? Hey, I too wanted to learn Russian. Can you please help me.I am from India. Is there anyway by which I can learn. I would like to learn. You in Dubai by any chance? My wife teaches Russian online via Skype. She is a native Russian speaker living here in the US. I may be of help to you. I am a Cameroonian who had live and study in Russia for more than a decade..
Humm ,you need to learn the different cultural aspects of doing that . I almost did that ,I did not work mainly due to cultural issues. What were the differences? Why didn’t things work out. Thats the correct approach ,the only way to really get to know a person’s soul is by first learning hes/her language . I dream about living in Russia and becoming President after Putin is not longer interested in the Position. I am from the USA and I hate my country. I hate living in a country that antagonizes Iran., Russia, and China. I always dreamed of defending Moscow from Invaders something I would not do for the USA. I would gladly give up my American citizenship for Russian citizenship. Russians are the superior culture. Vladimir Putin created the Universe and only he is worthy of worship. .. I’m not sure why or when I became infatuated with Russia, yet, I have always been drawn to its strength and culture. . I wonder, would a human services degree such as psychology and/or psychiatry be deemed as an acceptable profession for a person seeking citizenship? hello dear, am living in russia with a residence permits and i need a pastport can someone help me? thank you for the useful information . me and my Russian girlfriend planing to get married in Russia , what kind of document i need to prepare before flying there for marriage certificate registration . If you are a US citizen and get married out of country you will make it ten times more difficult for her to get a US green card. It is better to bring her to the US on a fiance visa and get married in the US the wait time is only about 5-8 mos. to get the visa the other way can take up to 3 yrs. depending on where you live in the US and how busy your local office is. Again this only applies if you are a US citizen. @Andrew Henderson-Russia is my favorite country. I was a US military officer but I did a genealogy test and discovered MTR1B genetics. I am 35 but one day would like to retire and live in Russia, as a Russian citizen. I am also Russian Orthodox. I am working on getting fluent in the language but I am about to be a police officer. One day, I will be an attorney but it will be time before I can generate 300,000 rubles or $163,000 USD a year. Is there any chance I can become a citizen of the Russian Federation. I am ethnically German, Russian and Azeri Irooni. Thank you in advance for answering my questions. I read your article and it seems like there is a chance but there is a process. At least they simplified it form before. First step, I want to go to Russia for the World Cup and apply for a long visa. What is the best way to do that? I moved from California to Nevada, is there a Russian/US embassy I can contact that is near by? I read I need to send in reports like occupation, address, pay stubs etc. Thank you in advance. I am also a classical pianist and love Russian Slavic Folk/Classical music. Thank you for your help. Depends on how long you are married. If you are married for longer than 3+ years then you don’t need veremia perejevania, you can apply directly for citizenship which I did. I was married to my wife for 7 years with a child. I went to Russia-Moscow and got my passport within 2 months after submitting some documents like the marriage certificate. If you are recently married then you will have a hard time collecting/submitting all documents to get 3 years visa first then submit other documents to get veremia perejevania and must be within Russian territory every 6 months else your veremia perejevania will be nullified and will be in a big problem. Did you have to renounce the citizenship of your home country? Did you have to renounce the citizenship of your home country? Is this a necessity? I am also married to a Russian for 8 years.We have a 7 year old son.We live in another country but visit Russia yearly. Please can you help me with the process to follow? Did you live in Russia for sometime? Do you speak Russian? Thanks. After getting Russian citizenship how long any Russian citizen can stay out of Russia and retain the citizenship ? When you get actual citizenship and passport, there is no requirements (in any country I believe) to stay in that country. Hi. i am from turkey and i live and work allready 8 years in russia i am not married and last my 2 visa was 3 years.All visa was for work. if i try to get russian citizen.i must married without married i cant get it? Hello dear friends, I am James from Rwanda, I want to go in Moscow and meet my Russian Girlfriend there for further our relationship, get married and stay in Moscow. I would like to ask you if I will be able to register our wedding While I will be holding a tourist visa? Is it possible to get married there while someone has a tourist visa of 30 days only? Please help me! I’m in Moscow now for the world cup championship. I ve 10 days to leave after the world cup. I intend to stay till december before i leave. Can i marry my russian girl friend here and avoid any immigration problem. Pls your comment is highly appreciated. Russia is my favorite country.Once in lifetime i would like to visit it. Where i can find a russian girlfreind plz tell me? Where i can find a russian girlfriend plz tell me how i can find? Dose anyone know if this program is also valid if I invest in a bank? I would really like to get Russian citizenship, the only problem is that I can’t move to there without a good local job. My wife is Russian, we are married already for 8 years, and have 3 children, so normally it should be easy, but unfortunately I can’t live in fact in Russia now. Is there any chance to get the citizenship anyway, or they control strictly every stamp in the passeport? And of wourse I would not like to renounce my actual citizenships (French and Hungarian). This site is not helpful since we don’t get any replies or answers from questions we ask. We offer this blog as a service without warranty. We run a business that helps provide answers as part of a comprehensive strategy, and you can learn more at http://www.nomadcapitalist.com/apply. Thank you very much Andrew.